Michille writes contemporary romance and is currently working on her third novel, Use Somebody , the third book in the Callahan Family series. Michille started reading romance novels in high school and has had one in her hand ever since. Although they were mostly historicals by authors like Julie Garwood, Kathleen Woodiwiss and Laurie McBain, now she'll read anything with a Happy Ever After. 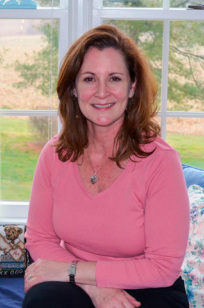 Michille is a professional writer in education and holds a post-baccalaureate certificate in Writing the Romance Novel from McDaniel College and is continuing with a Master of Liberal Arts. Michille lives in central Maryland with her husband, children and various animals, although she could do without the groundhog under the porch.